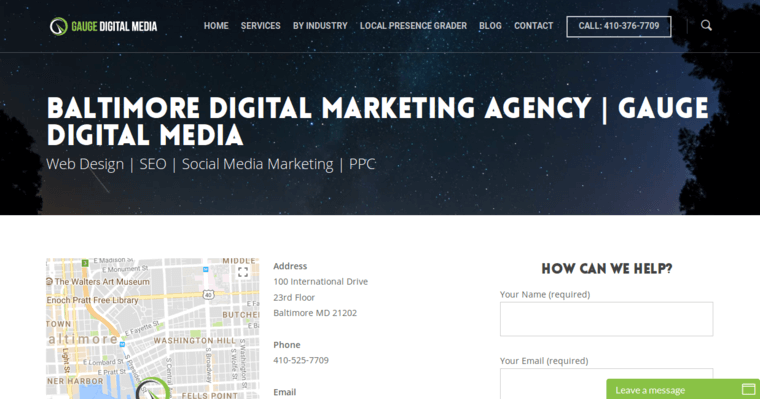 Based in Baltimore, Gauge Digital Media has risen to the top of the online marketing industry. In addition to being recognized for their general performance, the firm is now being awarded for its excellent service in the field of search engine optimization. The firm has earned such an honor by putting people ahead of profits. Such a client-centered approach to business avoids misunderstandings and encourages collaboration between clients and Gauge's in-house SEO teams. Needless to say, success in the world of SEO depends on more than high-quality trusting relationships. It also requires world-class expertise. The professionals who power Gauge Digital Media come directly from the search engine industry and understand how to create campaigns that transcend algorithm changes. 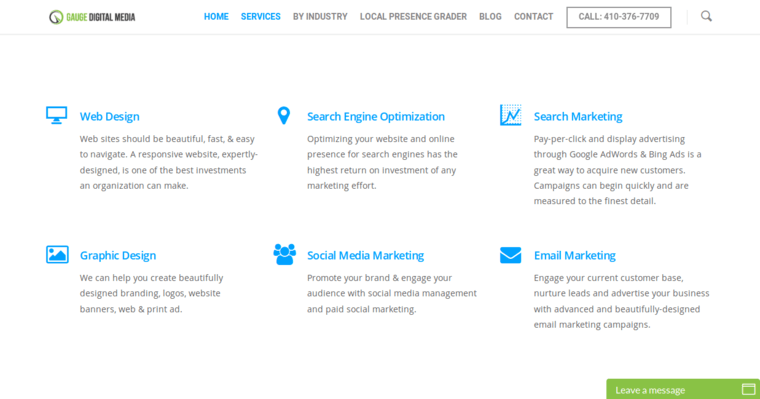 Part of this involves their emphasis on thorough market research to identify the right keywords and queries to target. In the end, Gauge Digital Media delivers exceptional ROI.